This is a lovely rhyming book with hand painted maps and facts about various places around the world. It would be a nice way to introduce the study of other countries and where they are on the world map. 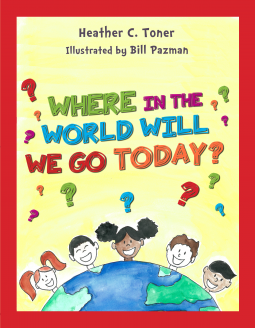 Each country is introduced un-named with its place on the globe and children will enjoy guessing which country it is before the rhyme on the next page tells us. With repeated reading children will enjoy joining in with the rhyme. A lovely picture and rhyming book for children but also an extra resource for the teacher.